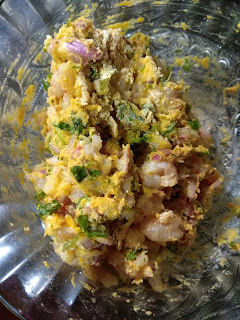 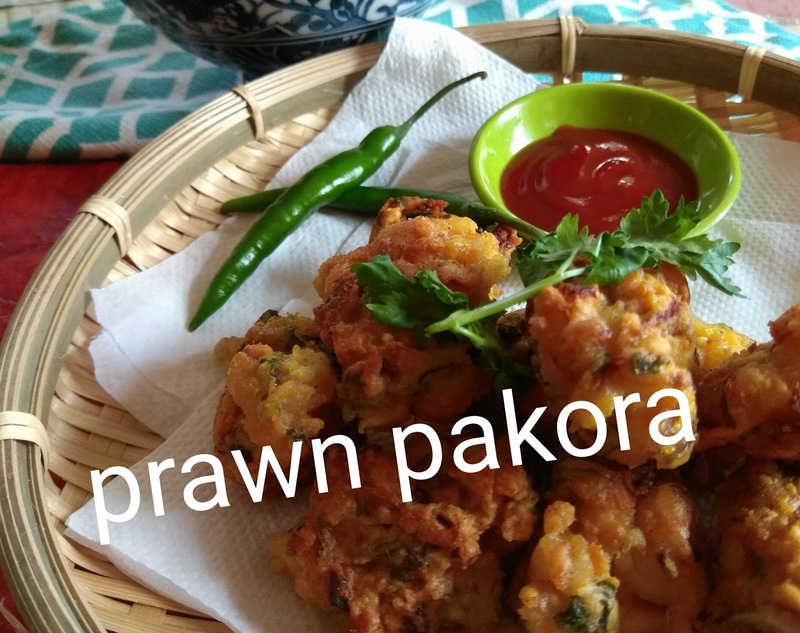 This one is surely a great appetizer ,and can serve as a great menu at mealtimes too.All you need are the prawns shelled and deveined in the refrigerator. 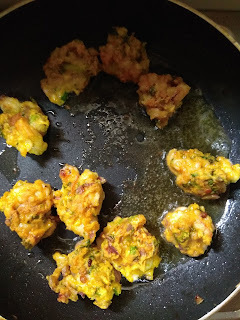 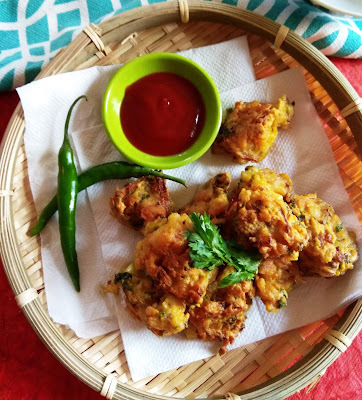 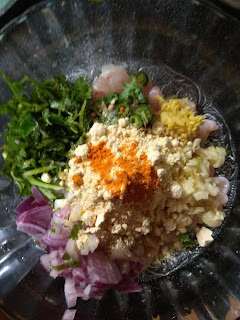 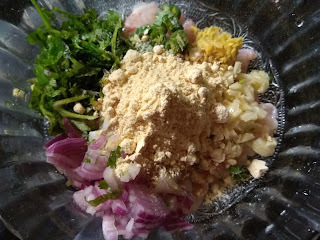 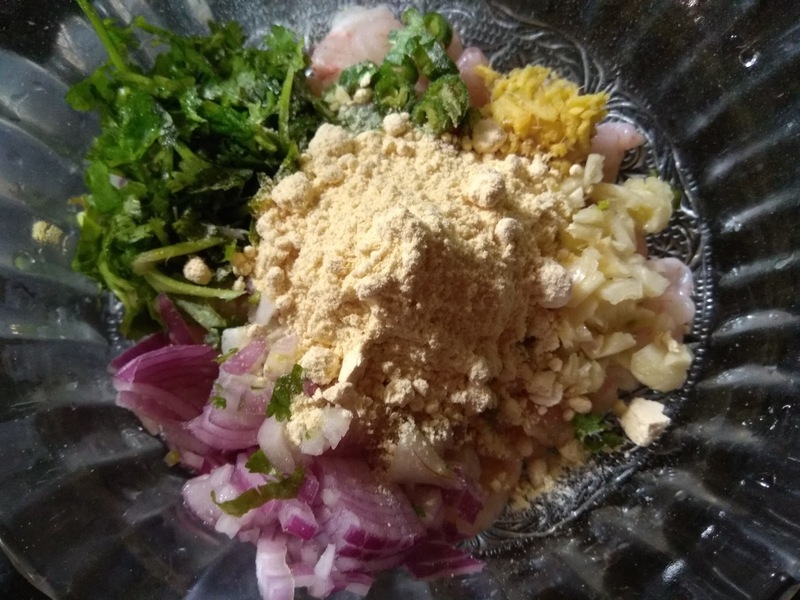 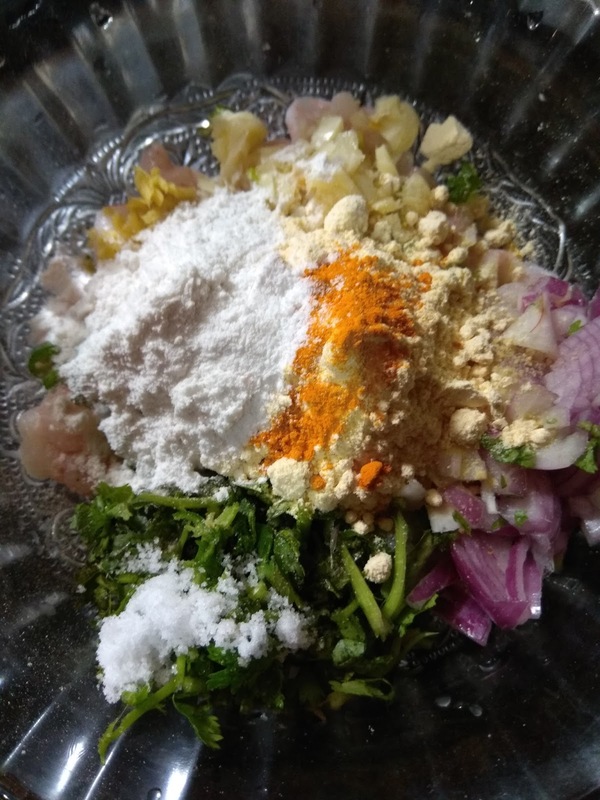 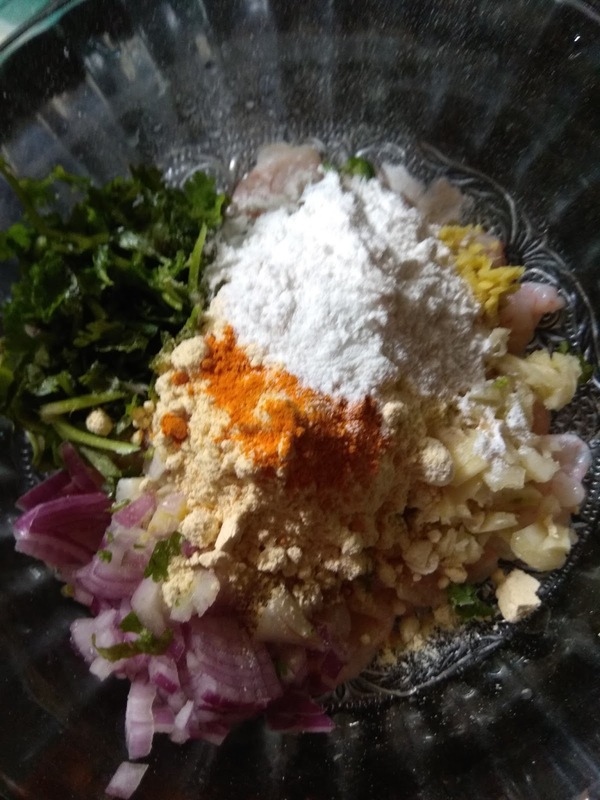 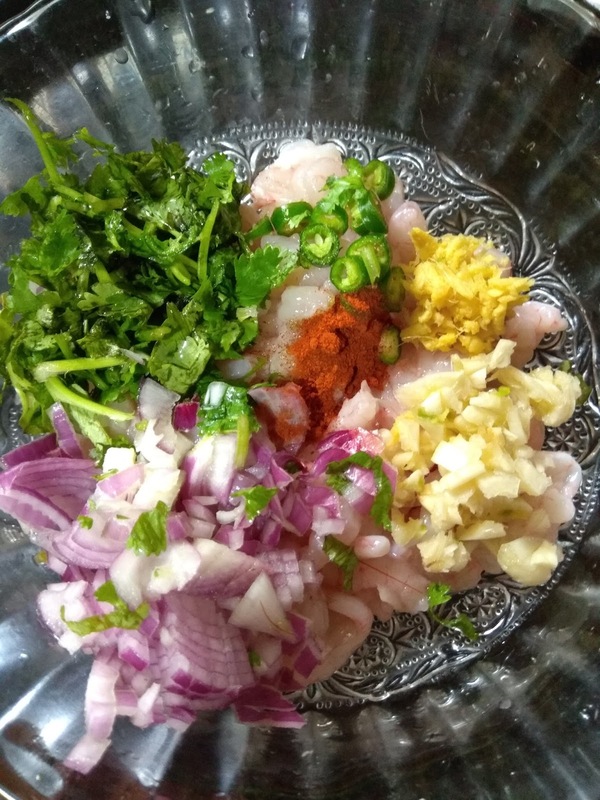 These fritters or pakoras can be made with any sized prawns,but today I have used the frozen variety.if you wish to make with the bigger ones you will have to cut them into smaller pieces after shelling and deveining them. 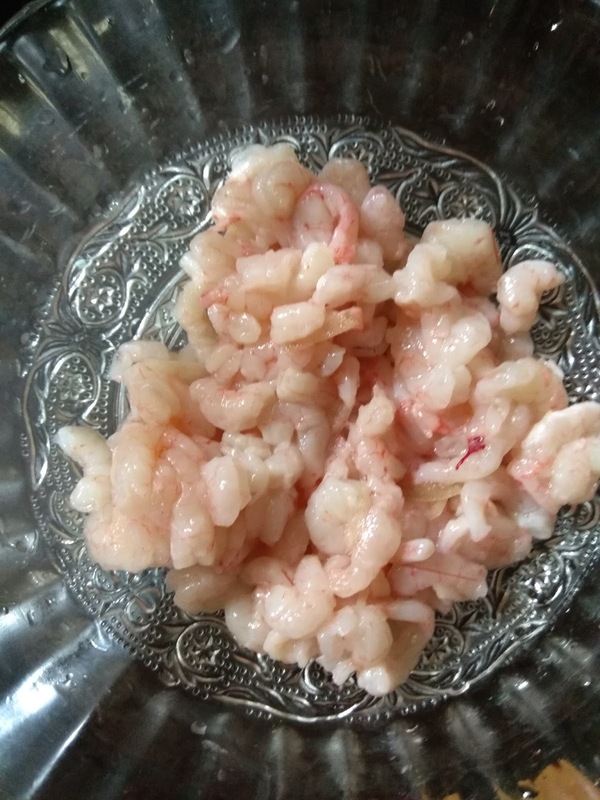 If you are using the frozen ones ,it has to be checked that the prawns are free from ice or water.You might have to squeeze out the water in them ,or pat them dry. 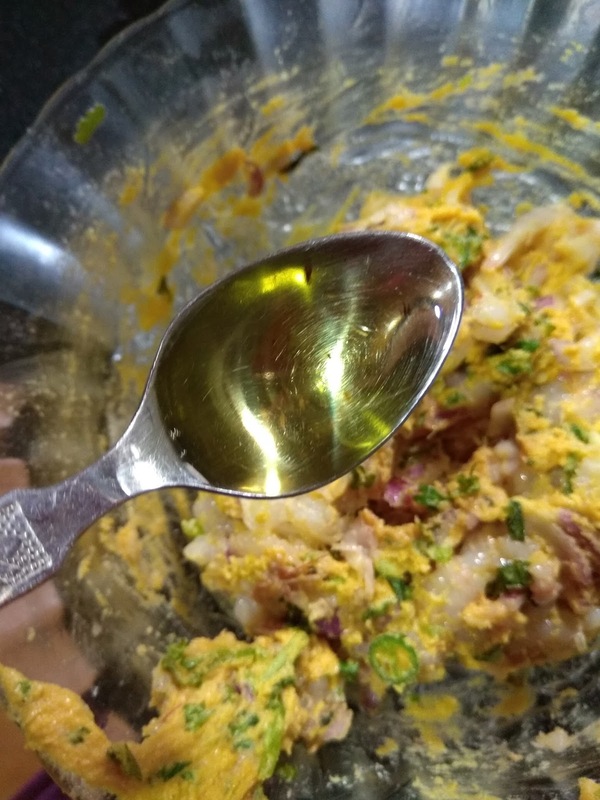 Though besan would be enough for this recipe ,I have added rice flour for a further crisp texture.You shall notice that I have added two teaspoons of hot oil to the mixture for some lightness and crispness again. 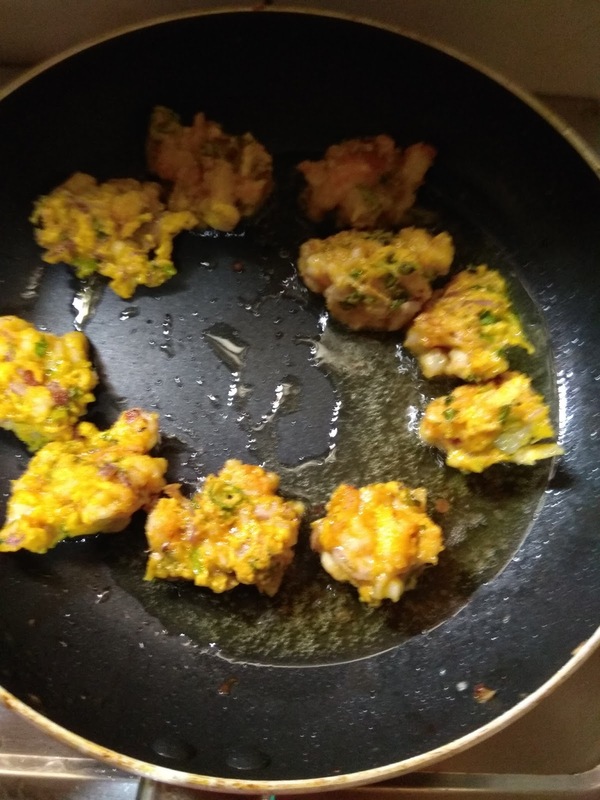 IF you are preparing the mix and keeping it ready to fry later ,then add the salt and the hot oil just before frying.Otherwise the salt will release a lot of water and make the pakora soggy.